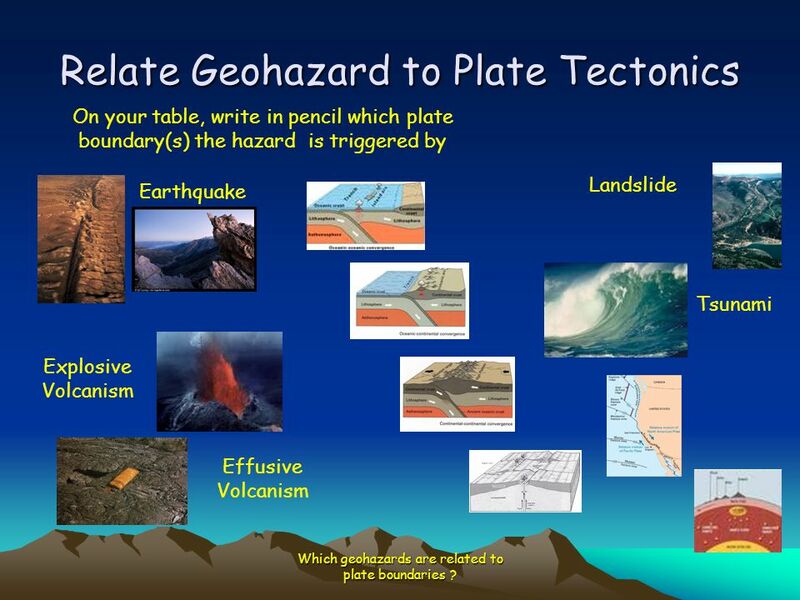 Which geohazards are related to plate boundaries ? 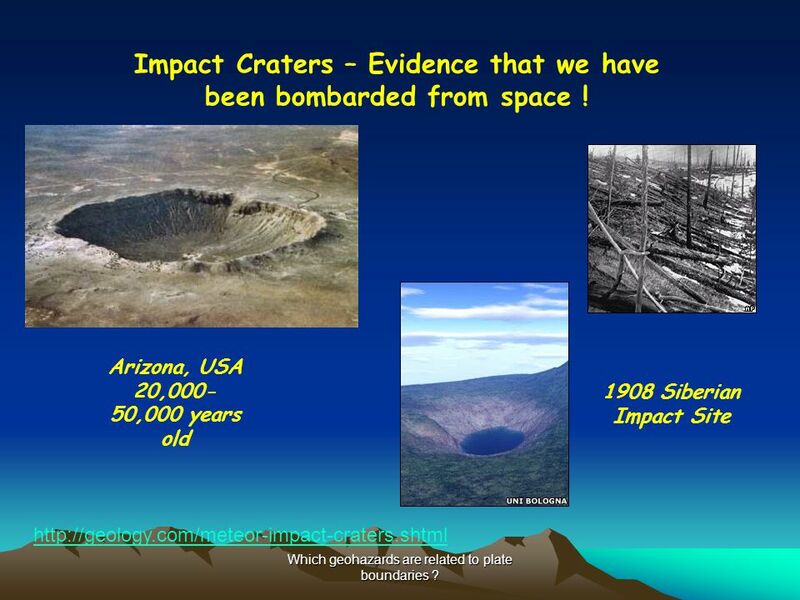 3 Impact Craters – Evidence that we have been bombarded from space ! Arizona, USA 20,000-50,000 years old 1908 Siberian Impact Site Which geohazards are related to plate boundaries ? 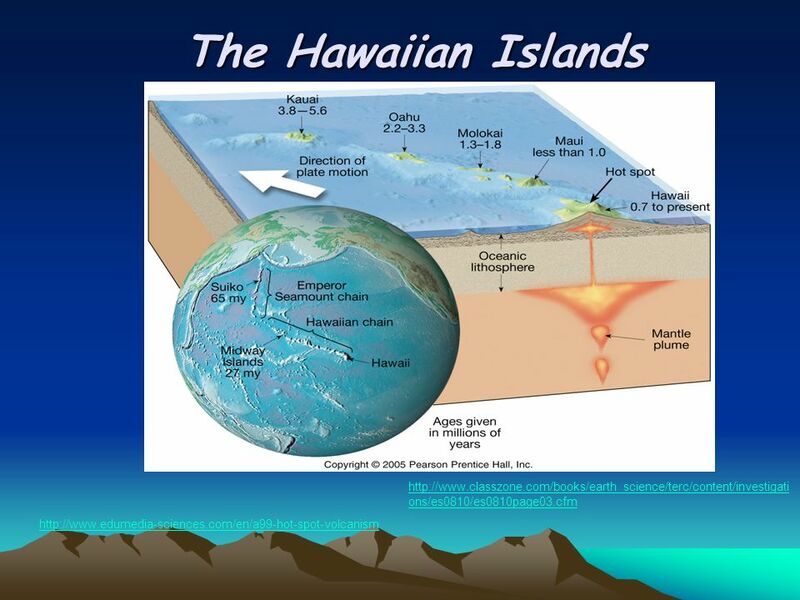 Under water On land Which geohazards are related to plate boundaries ? 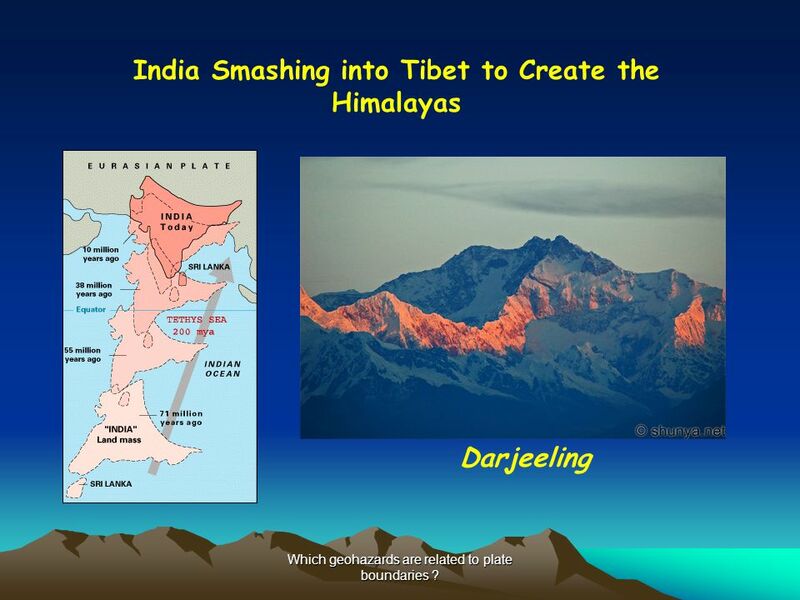 Darjeeling Which geohazards are related to plate boundaries ? 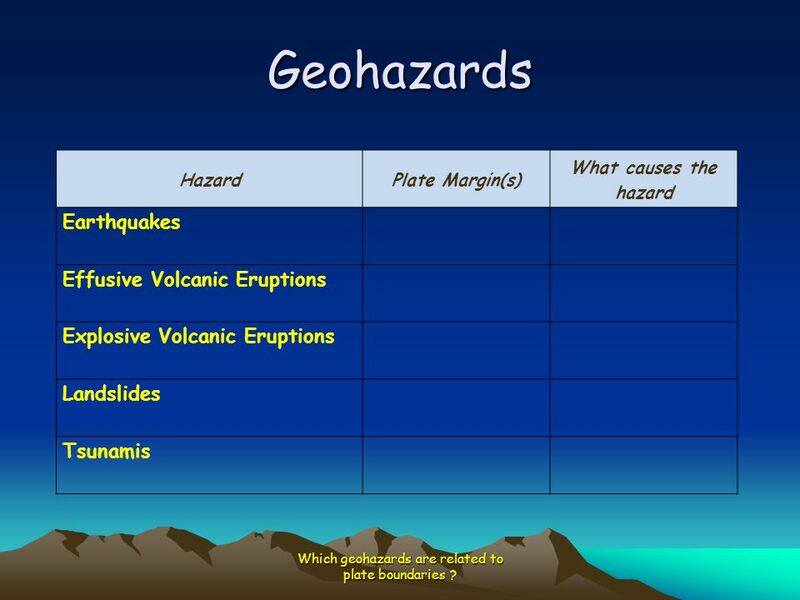 8 Which geohazards are related to plate boundaries ? 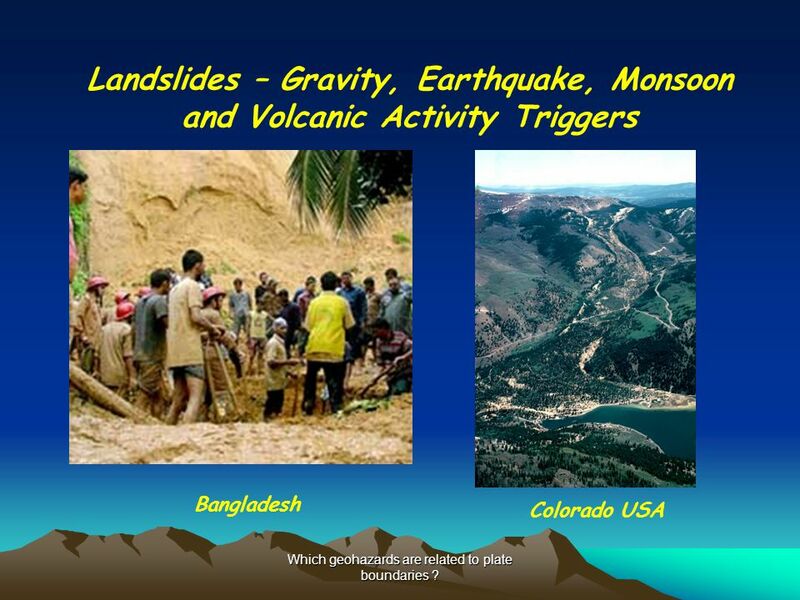 Landslides – Gravity, Earthquake, Monsoon and Volcanic Activity Triggers Bangladesh Colorado USA Which geohazards are related to plate boundaries ? 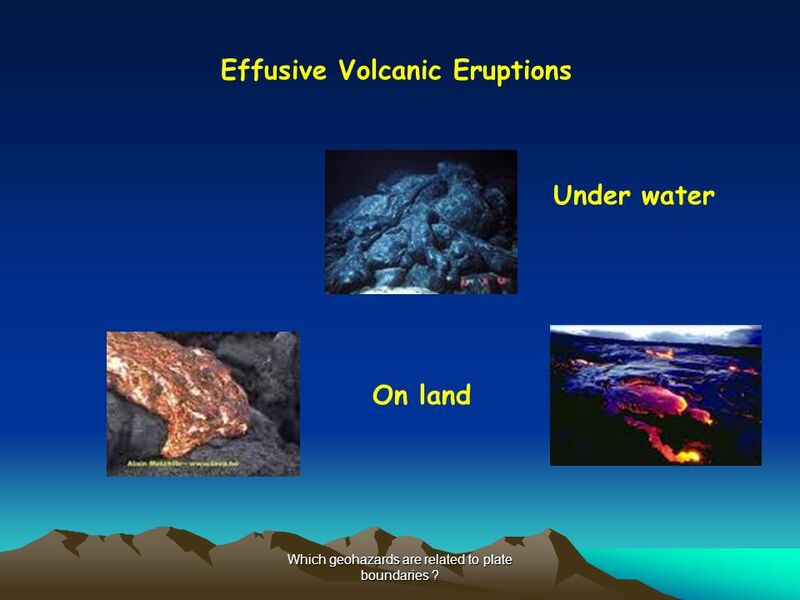 9 Which geohazards are related to plate boundaries ? 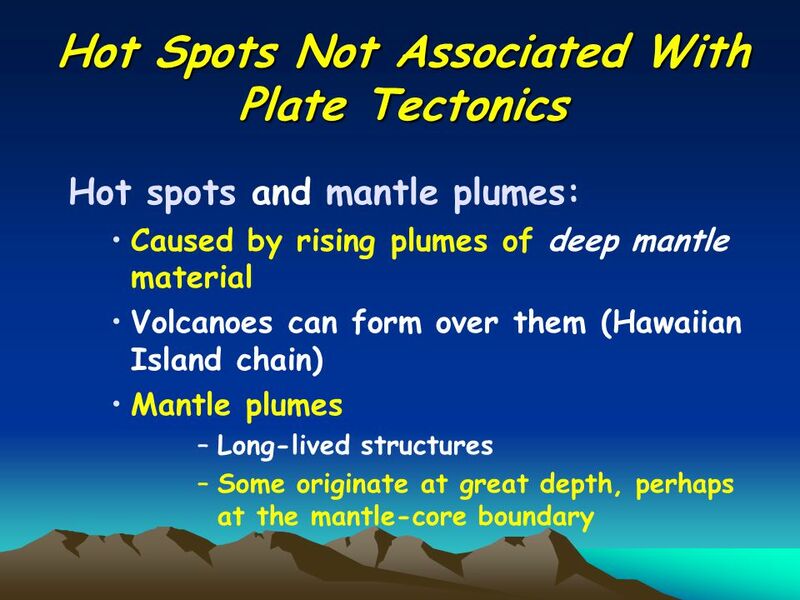 Plate Margin(s) What causes the hazard Earthquakes Effusive Volcanic Eruptions Explosive Volcanic Eruptions Landslides Tsunamis Which geohazards are related to plate boundaries ? 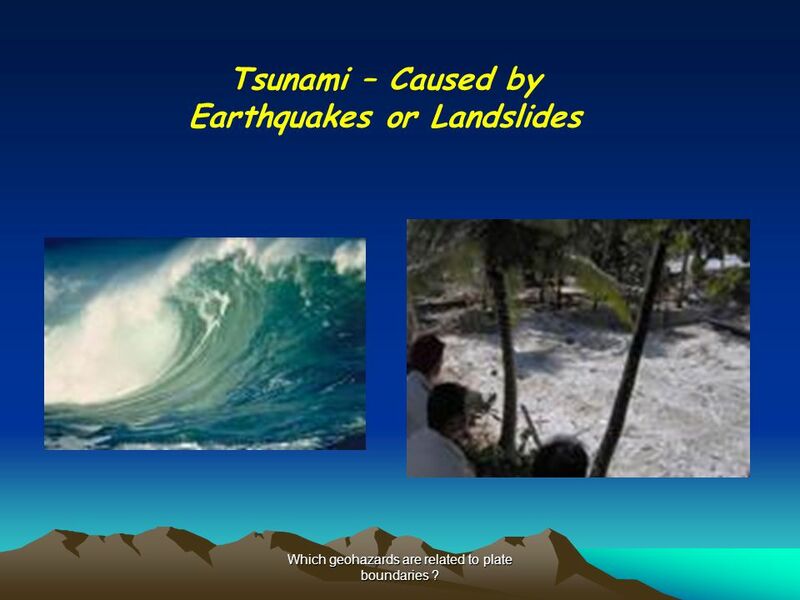 On your table, write in pencil which plate boundary(s) the hazard is triggered by Landslide Earthquake Tsunami Explosive Volcanism Effusive Volcanism Which geohazards are related to plate boundaries ? 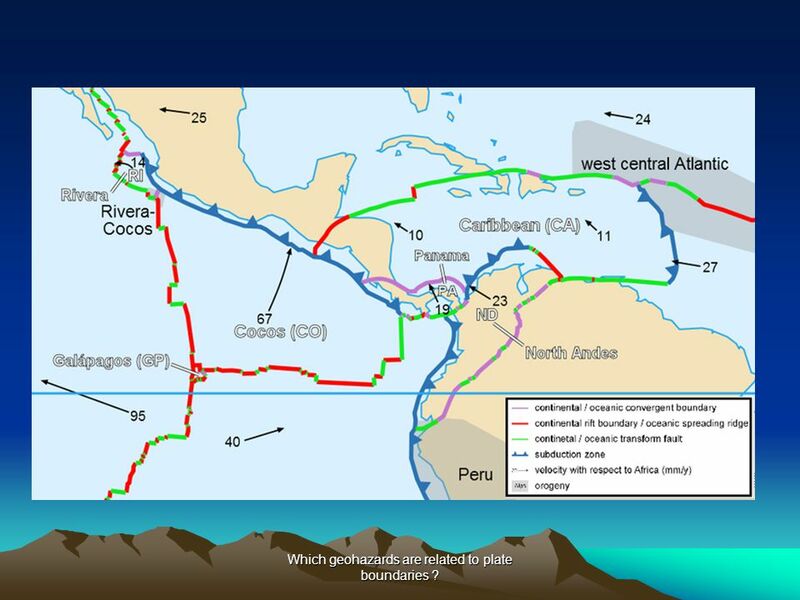 14 Which geohazards are related to plate boundaries ? 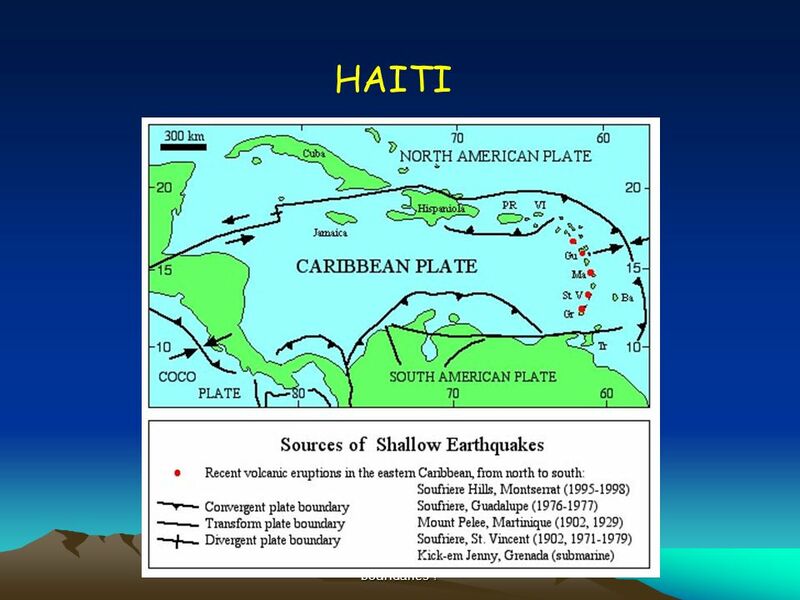 HAITI Which geohazards are related to plate boundaries ? 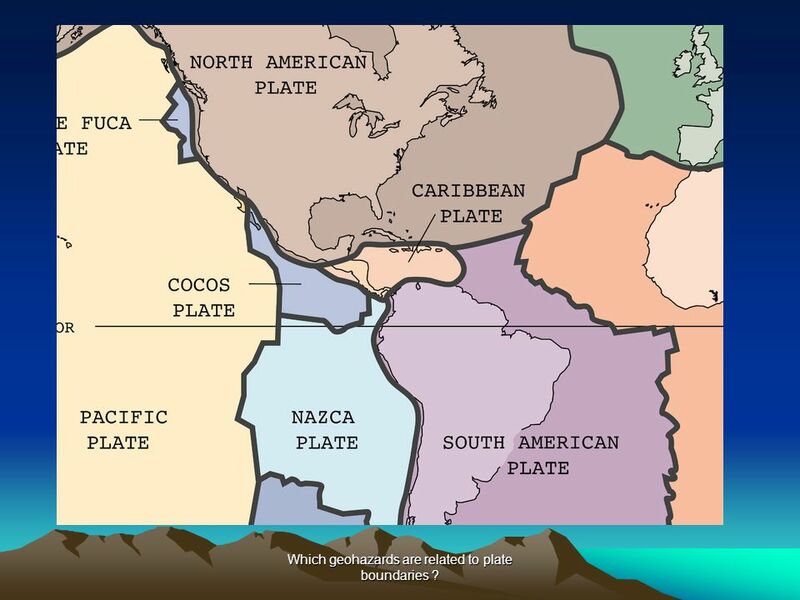 15 Which geohazards are related to plate boundaries ? 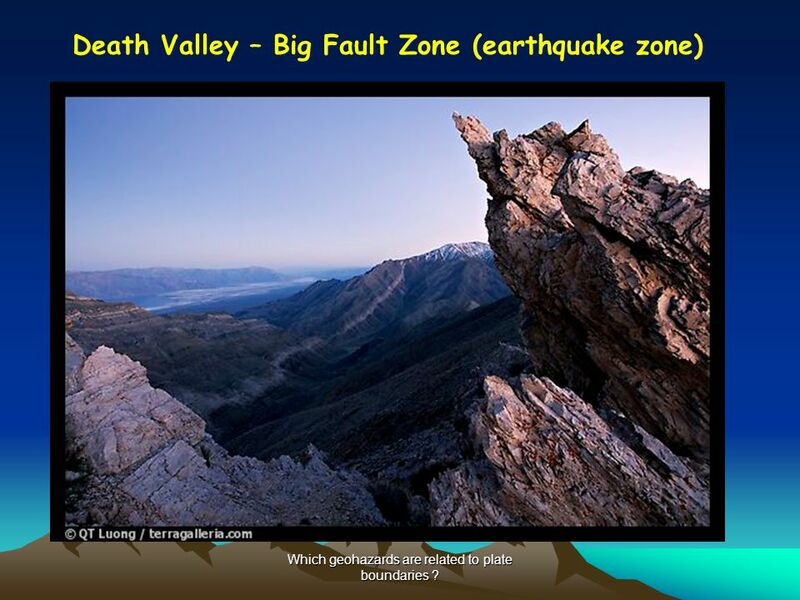 16 Which geohazards are related to plate boundaries ? 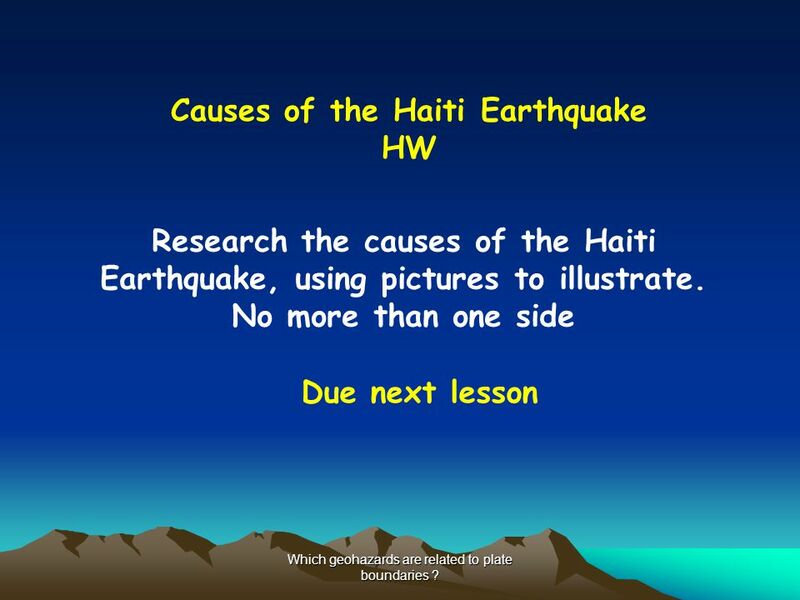 HW Research the causes of the Haiti Earthquake, using pictures to illustrate. 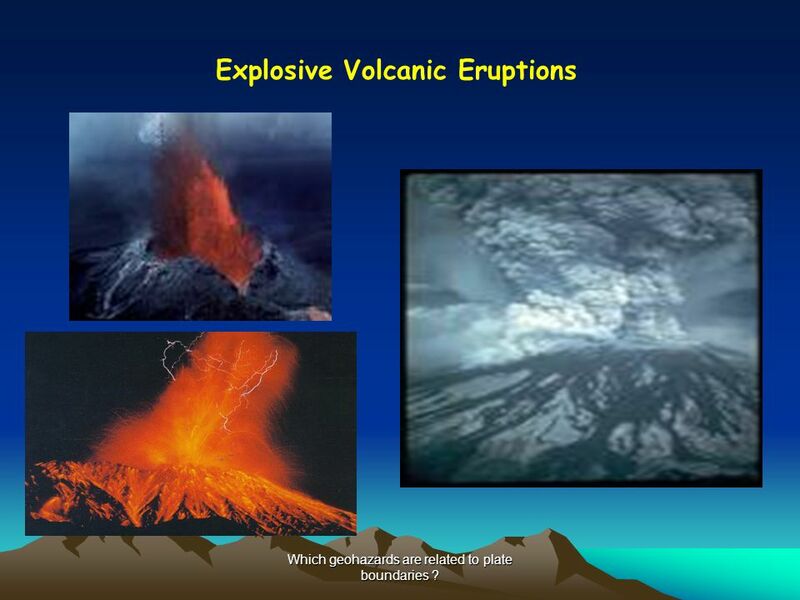 No more than one side Due next lesson Which geohazards are related to plate boundaries ? 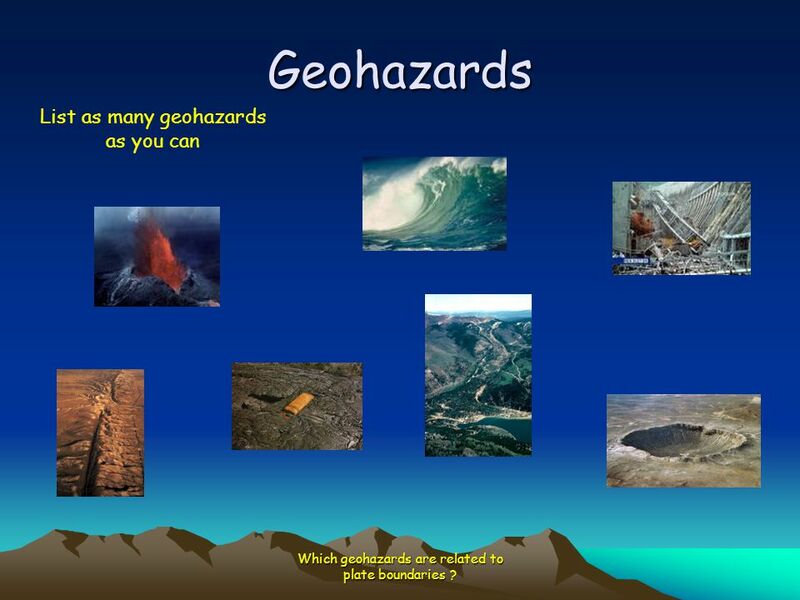 Download ppt "Geohazards List as many geohazards as you can"
Do Now # 4 What is the difference between convergent, divergent, and transform boundaries? So what has caused the continents to drift ?? Plate Tectonics. Current theory which explains many of the earth’s surface features and its dynamic nature Provides model of earth in which tectonic plates. Geohazards Eric Angat Teacher. 1.What causes the displacement or movements of plates and deformation. Ms. Hartnett's Earth Science Canada and Northern California. Cuernos Del Paine, Andes Mountains Gabriel Callaghan. Earth Structure Basic layers Layered surface structure Spreading centers Subduction zones Hot Spots Transform faults Evidence Animations. 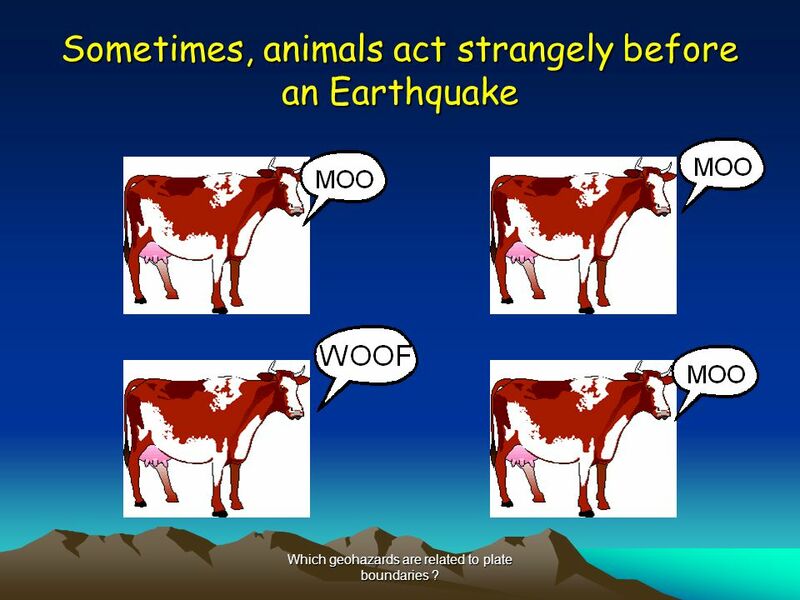 Plate boundaries LO: to be able to explain what happens when plates meet. 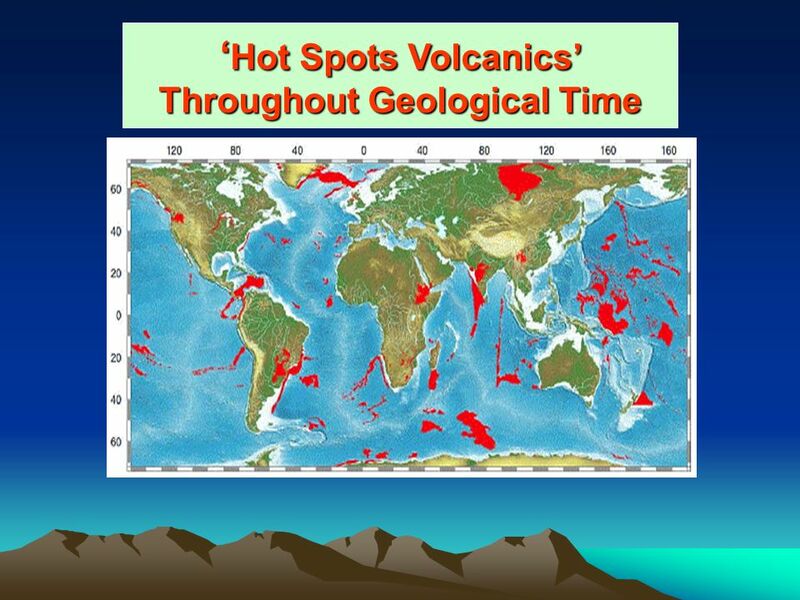 What happens at tectonic plate boundaries? Plate Tectonics. Earth’s Interior Earth is made of layers Crust Upper Mantle (asthenosphere ) Mantle Outer Core Inner Core Scientists discovered these. Earth’s Geology – 3 primary layers Core, Mantle, and Crust Inner core is solid metal (iron and nickle) Outer Core is molten metal Rocky mantle (solid.